Was working on two iris paintings yesterday, one was a sketch to get back into the mood for irises and to remind myself of their quirky shapes and forms. I have a sizeable collection of photos that I’ve taken in the garden over the years. Some years have been better than others and our garden didn’t yield this year. 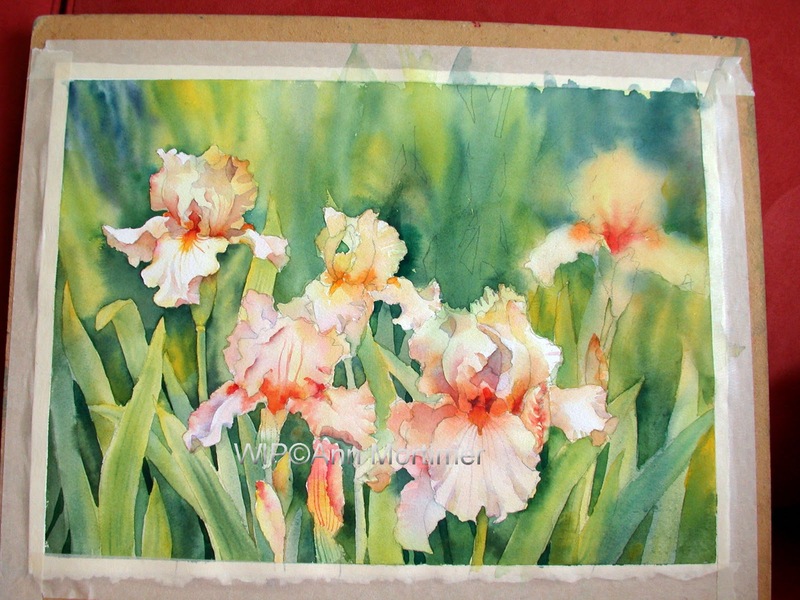 I use the Cayeux irises catalogues for invaluable reference (www.iris-cayeux.com) for which I have permission. This one is called Aurelie. There’s a way to go on this one of the apricot coloured irises. I painted some of this at a demo I did for Keyworth art club last week. The jury is still out on the composition. 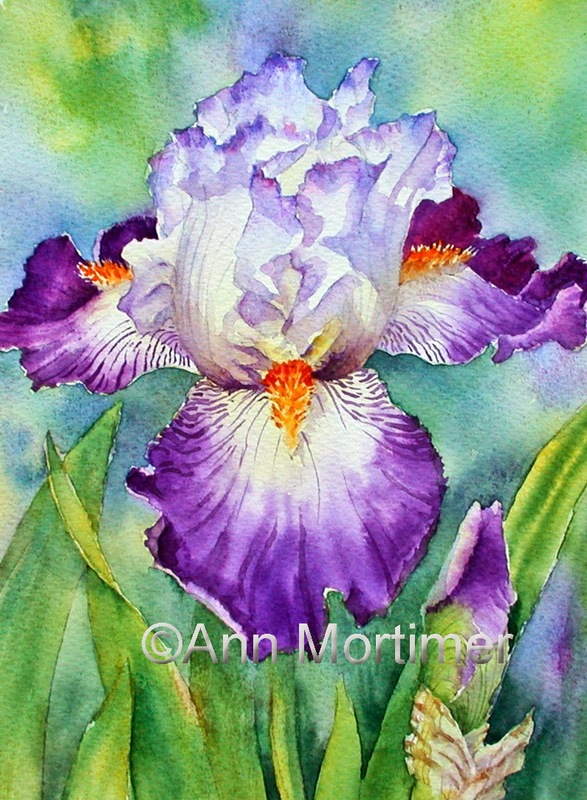 I have made the right hand iris very blurred using wet in wet washes in an attempt to stop it competing with the left hand dominant flower. Today I will work on the biggest foreground flower to make it stand out and see where that will take us.